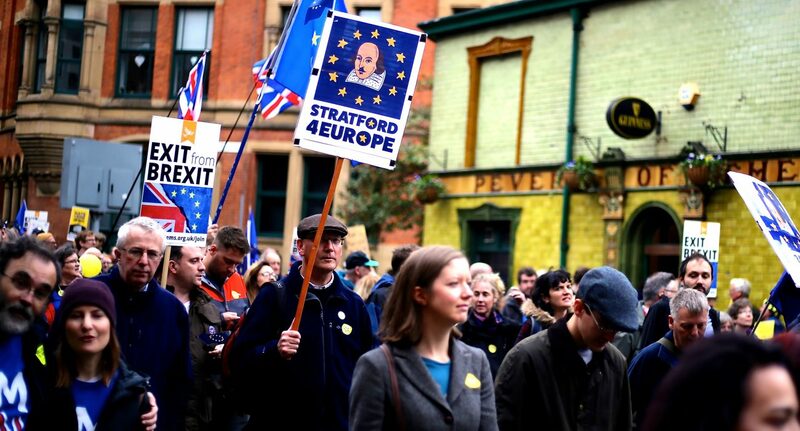 The University of Manchester could struggle to recruit staff in the event of a no-deal Brexit, and has spoken to police about the possibility of civil unrest. A risk-assessment seen by The Mancunion also highlights potential problems with the movement of staff and students to and from the UK and says it’s “very likely” no-deal will hit fees from EU students. The ‘Extraordinary Risk Register’, obtained via a Freedom of Information request, sets out potential problems that the University might face if the UK crashes out of the EU without a deal on March 29th. The document appears to be the first of its kind and notes that contingency planning is now “necessary” in case there is no transition period after March 29th. According to the register, the University now thinks it’s “very likely” that a lack of clarity on immigration rules and an adverse immigration landscape in the event of a no-deal Brexit will have a “deleterious” impact on recruitment. It warns current EU staff could be left in a so-called “legal limbo”. The risk assessment notes that civil unrest could have a “major” impact but only classifies its likelihood as “possible” as opposed to “likely” or “very likely”. The University is liasing with the Students’ Union (SU) and “other authorities” regarding potential civil unrest. The document states the biggest risk to the University in likelihood and impact comes from additional costs and delays when importing goods due to new, complex regulations following no-deal. To reduce the risks related to the importing of goods, the institution will introduce new processes and attempt to avoid the immediate Brexit period when scheduling imports. The document obtained by The Mancunion is dated November 2018 and believed to have been drafted before the Prime Minister’s Withdrawal Agreement was finalised by the UK and the EU, and before this agreement was subsequently rejected in parliament in January by an historic margin. However, upcoming Parliamentary votes seek to add on amendments to this Agreement which rule out the possibility of a no-deal Brexit. The University told The Mancunion that the “entire sector” is awaiting technical guidance from the government regarding the Erasmus scheme and that the university wanted to ensure that any possible disruption is kept to the ”absolute minimum”. Responding to the assessment, SU International Students Officer Riddi Viswanathan said: “The impact of a no-deal Brexit on EU international students and staff really concerns me. ”There is no clarity over what will happen to our Erasmus schemes, our research funding and through no-deal we are putting the future of 50,000 EU staff, 130,000 EU students and 15,000 UK students in Europe at stake. “Brexit is not just an UK-EU issue, it is a global issue and this immigration uncertainty is raising concerns among the whole international student community. A University of Manchester spokesperson said: “For the past two years The University of Manchester has been working with the relevant government departments and higher education bodies planning for all potential eventualities and outcomes of Brexit, including a no-deal. “Senior staff members from across the University are working closely with our own Compliance and Risk team internally, as well as our external sector partners, such as fellow Russell Group members and Universities UK, who continue to lobby government on behalf of the sector to guarantee assurances for international students. The emergence of this Risk Register comes shortly after Nancy Rothwell, President and Vice-Chancellor, signed an open letter to MPs warning that a disorderly exit from the European Union could lead to an “academic, cultural and scientific setback from which it would take decades to recover.” She also warned that vital research could be put at risk by a no-deal Brexit.